Smoky Mountain Pizza & Pasta is known for wide variety of selection of Italian cuisine. It includes pasta and pizza of different varieties, chicken, calzones, sandwiches, Italian grilled sausage and salads. They have a different menu for kids aged 12 featuring chicken nuggets, Smoky O's with tomato sausage, sandwiches, tortellini, spaghetti and toasted cheese. 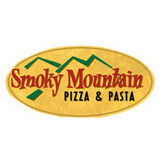 Smoky Mountain Pizza & Pasta opened their first restaurant in winter season of 1991/1992. It offers customers with unique dining experience. Mr. Dan Todd and Mr. Jerry Todd are the President and Vice President of the restaurant. It believes in maintaining proper cleanliness, consistency offering the best in the field. There are currently 0 consumer reviews about Smoky Mountain Pizza & Pasta available. Share your review. Please take a note that you are about to post a public review about Smoky Mountain Pizza & Pasta corporate office on CorporateOffice.com. This review will be public, so please do not post any of your personal information on this website. If you would like to contact the corporate offices of Smoky Mountain Pizza & Pasta, please use their contact information such as their phone number, website, and address listed above to contact them. However, sometimes staff from Smoky Mountain Pizza & Pasta headquarters do read the reviews on this website.